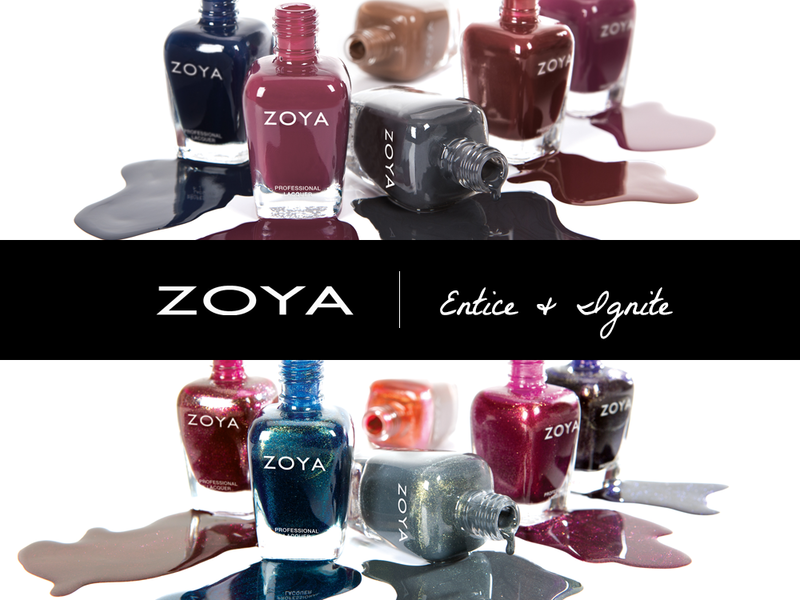 I have a fantastic new release from Zoya to share tonight! Continuing their gorgeous Naturel series, here are the beautiful Naturel Satins! Good evening readers! I hope you all had a lovely holiday. 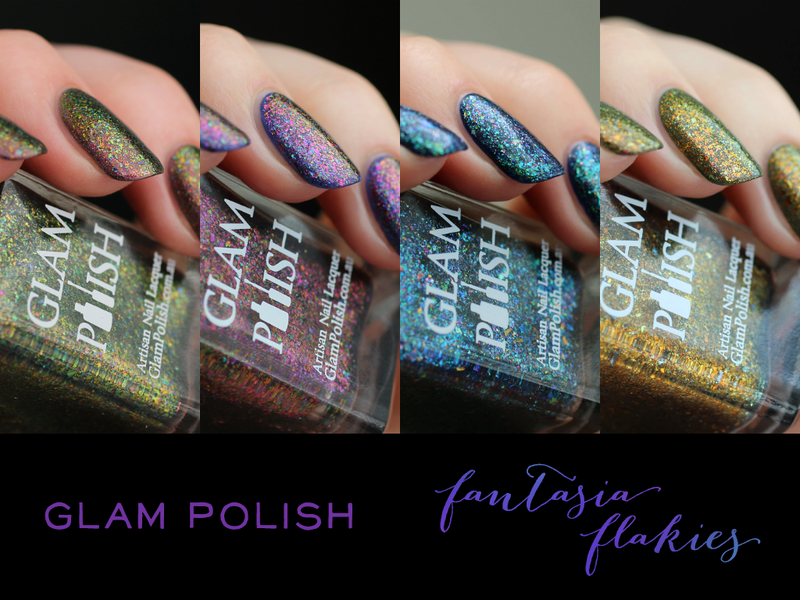 I have four of the gorgeous new multi-chromatic metallic flakies from Glam Polish's "Fantasia Flakies" collection to share tonight! Keep reading to see more of these twinkling beauties. Good evening lovely readers! 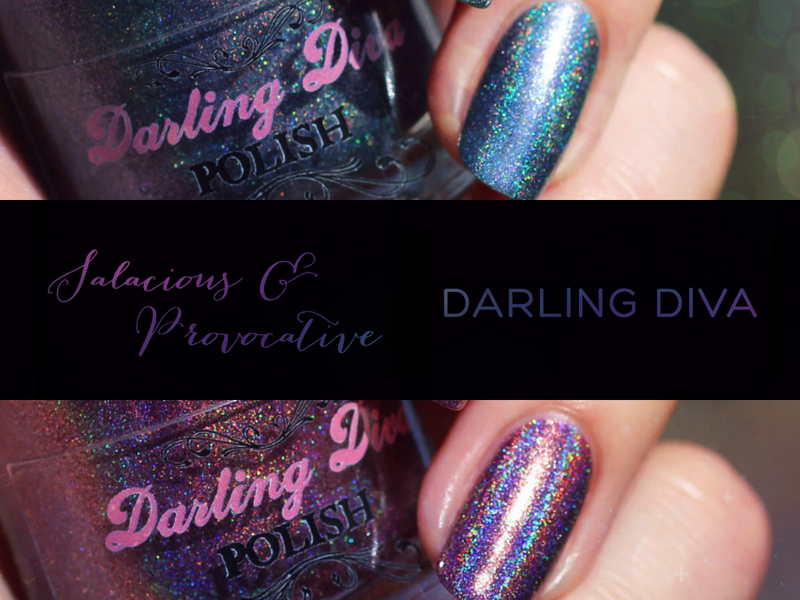 Tonight I have a couple of stunning holos from Darling Diva Polish to share. Here are Salacious and Provocative, two beautiful Llarowe-exclusive polishes. Keep reading to see more! Good evening polish fans! 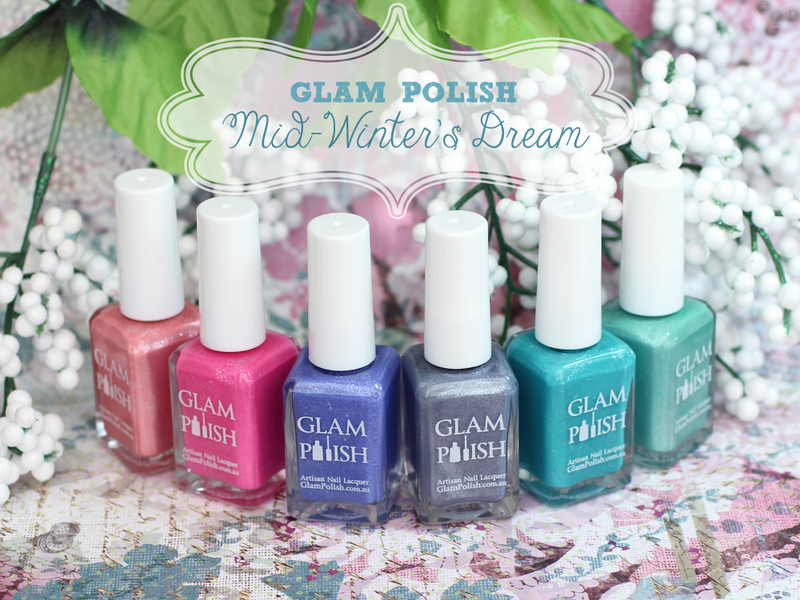 I am thrilled to share these dazzling new soft-hued, wintry shimmers from Glam Polish, the Mid-Winter's Dream collection today. More photos after the break! Happy Saturday everyone! 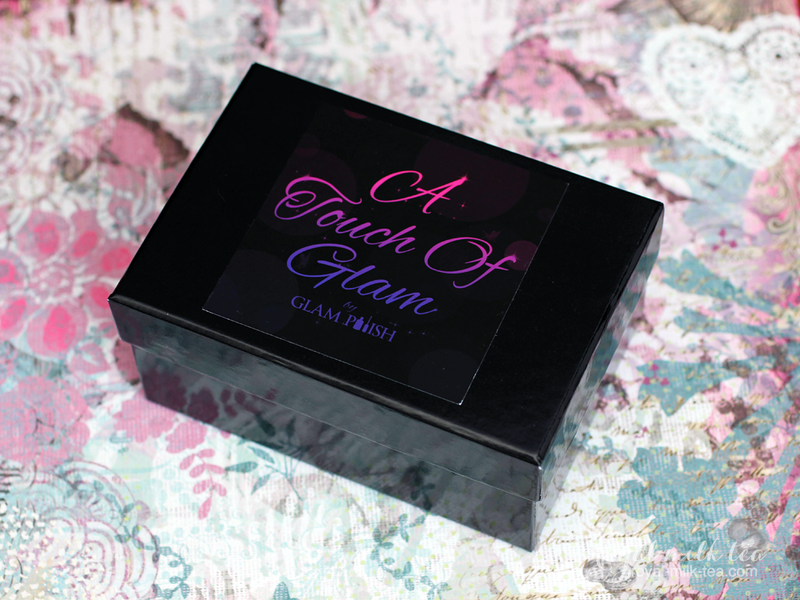 I have a very exciting post with special, limited edition holiday colors from Glam Polish to share today! Keep reading to find out what's inside these Limited Edition Holo Gift Boxes! 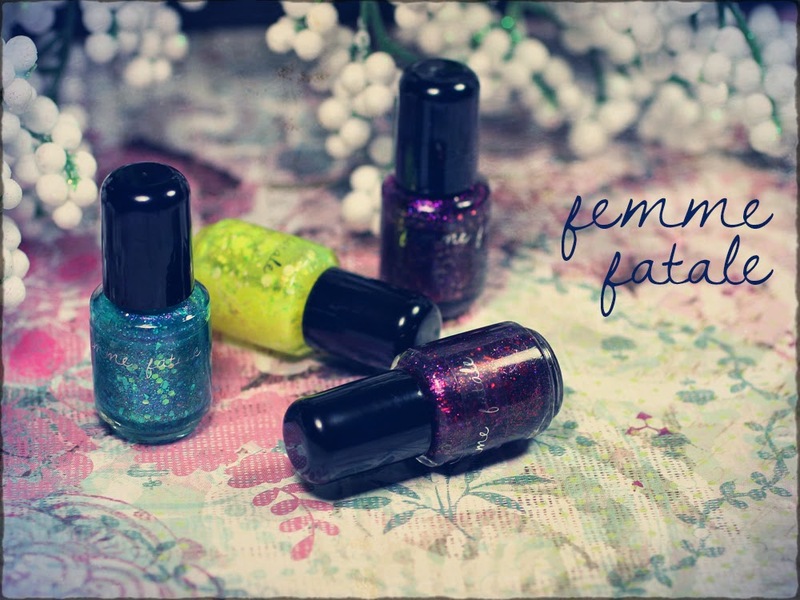 And now for the final installment of the newest releases from Femme Fatale Cosmetics! I saved some of the best for last, so read on to see more pictures of these bright and sparkly beauties! 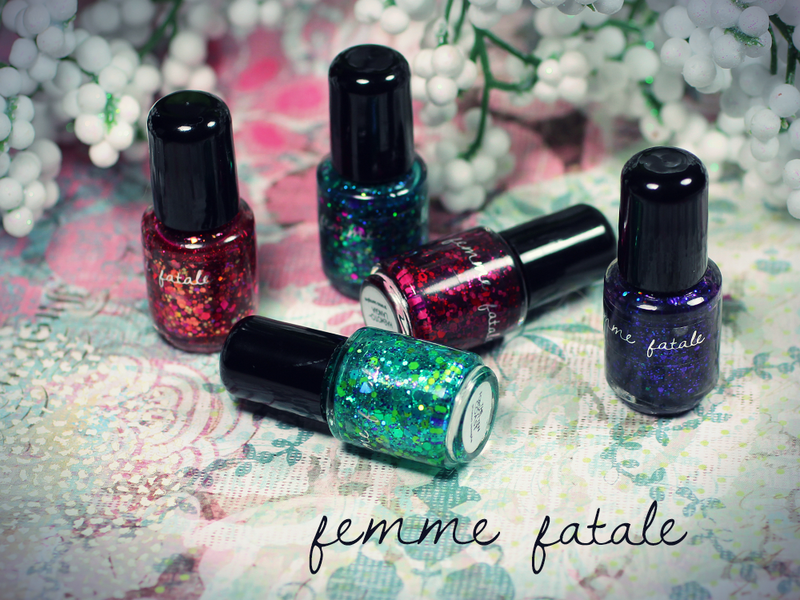 Tonight I have more of the newest releases from Femme Fatale Cosmetics! Keep reading for more photos of these sparkly, glitter-filled jellies. 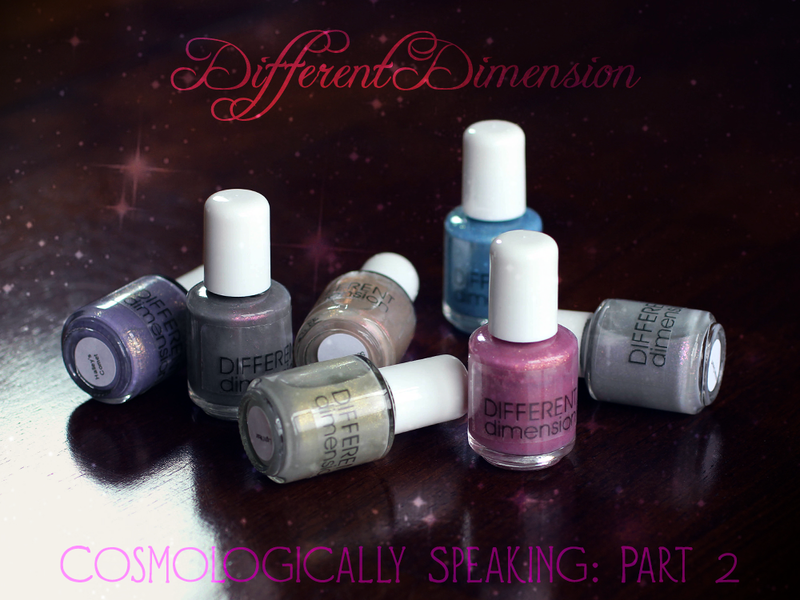 I have the second half of the "Cosmologically Speaking" collection from Different Dimension up on the blog tonight! I'm so excited to share these lovely muted hues as they're some of my favorites, keep reading for more! Good evening all! 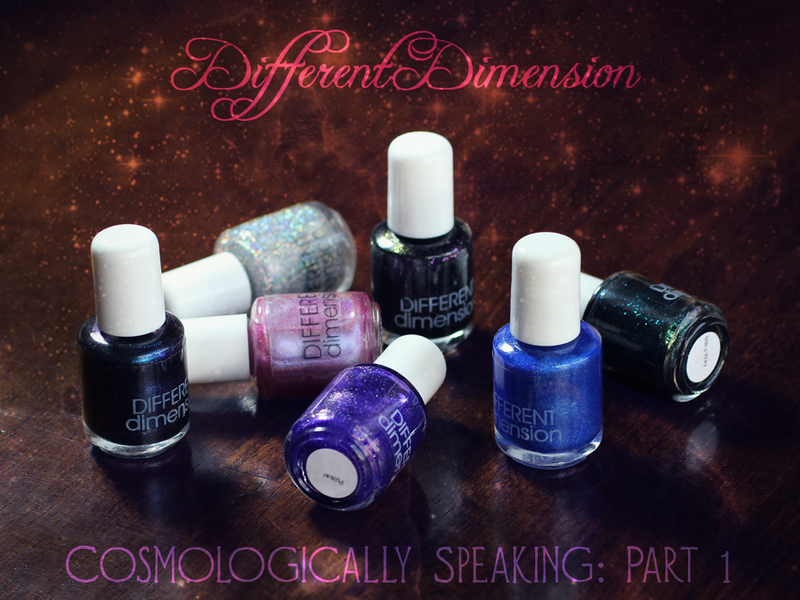 My apologies for the long span between posts, I've had a couple of family emergencies and special occasions come up recently, so I'm super excited to finally be able to share the first half this new collection of cosmic shifters and space-dust-y shimmers from Different Dimension, "Cosmologically Speaking." Good morning everyone! 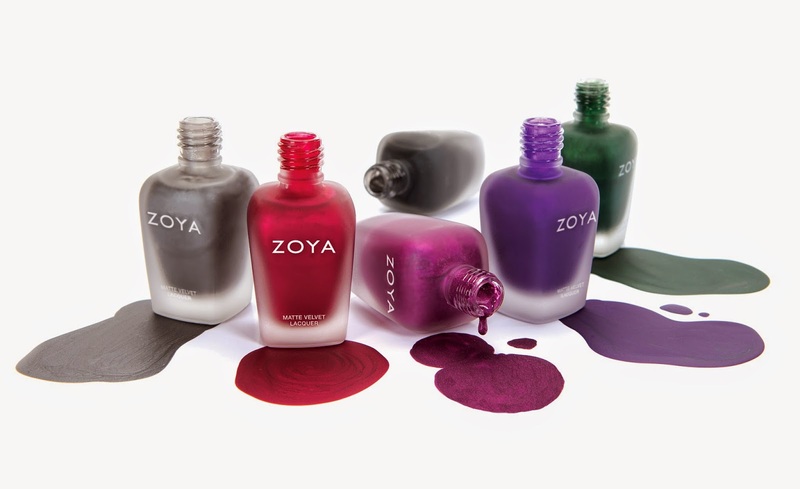 I have some exciting news for you today-- new Zoya PixieDusts for Fall in three dazzling ruby reds! Keep reading for more photos and info on these beauties. 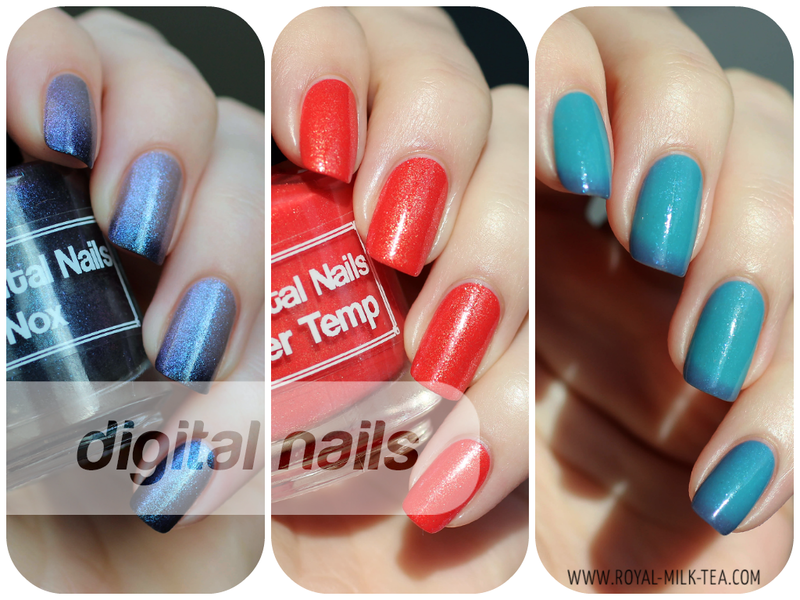 Good evening lovely readers, I have some very special polishes to share with you all tonight! 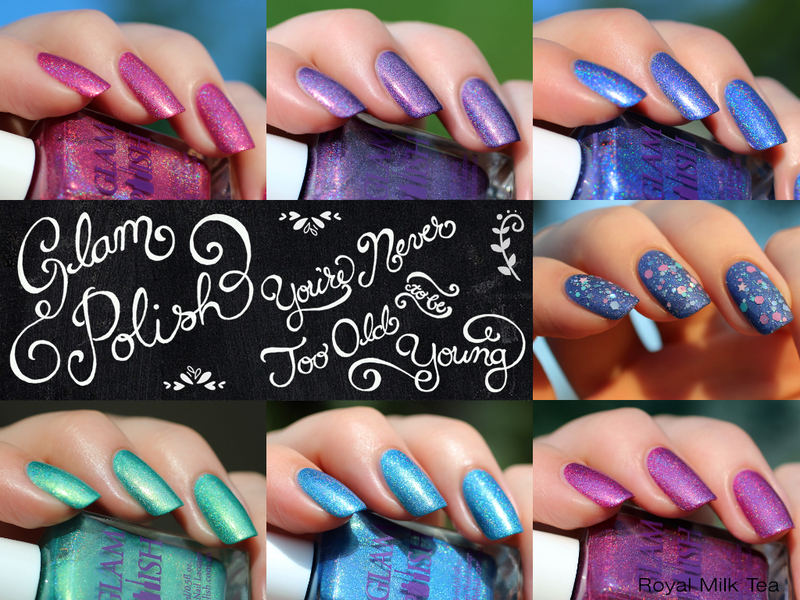 Here are the remaining colors from Glam Polish's "You're Never Too Old to be Young" Disney-inspired collection, full of magical rainbows and nostalgia! 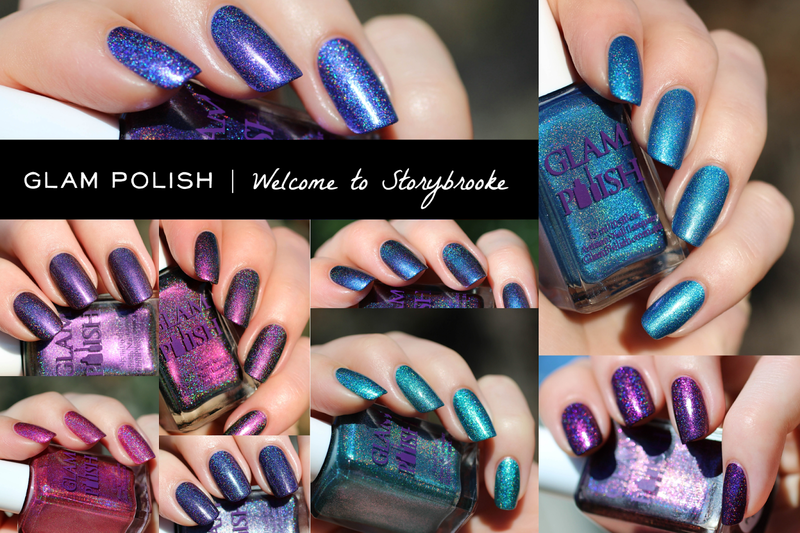 Tonight I have the three stunning holographic multichromes from Glam Polish's new collection, "You're Never Too Old to be Young," inspired by recent and classic Disney films. 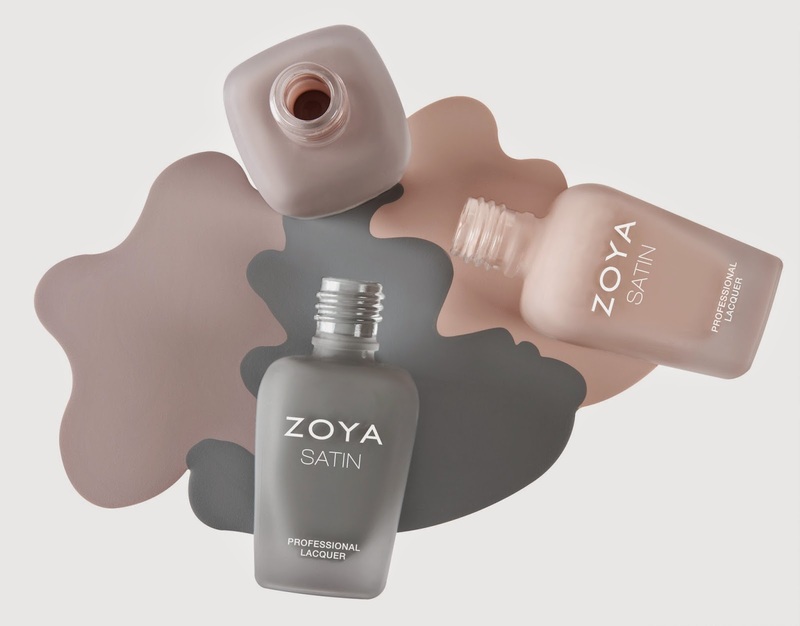 Zoya is releasing a new collection of absolutely stunning cremes and shimmery metallics for Fall, and I am so super excited for these beauties! Keep reading for more photos and info. Ah, Summertime-- the perfect time of year for sparkly rainbow holos and polishes that change color when you hop in and out of the pool! 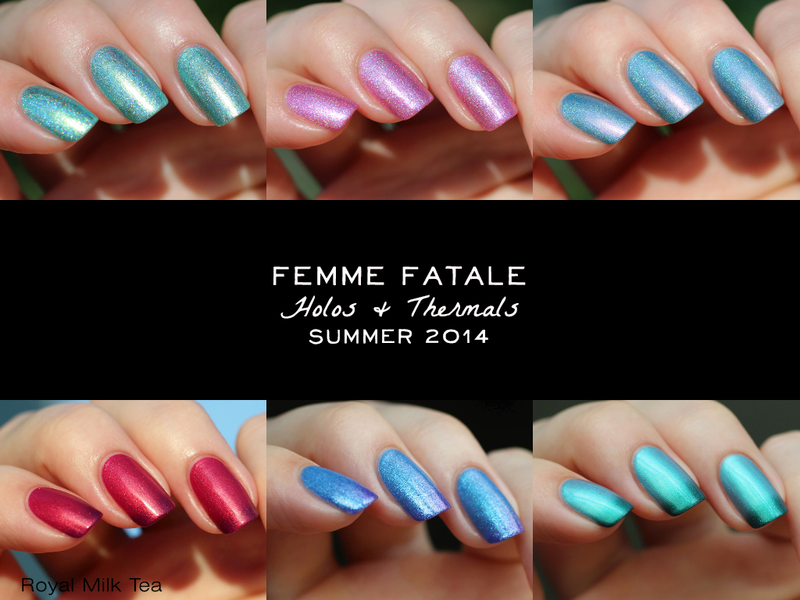 Today I have six brilliant new holographic and thermal colors from Femme Fatale Cosmetics to share with you all! Inspired by the beautiful lakes, sights, and delicious breakfast condiment of Michigan comes this spectacular new collection from Aliquid Lacquer, "Two Pleasant Peninsulas." Pretty Serious is back with a brand new invention! 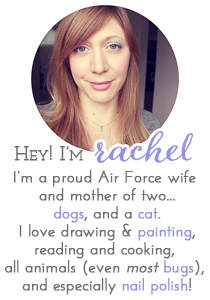 Oh man, do I have some gorgeous and exciting stuff to share with you all today?! (Hint: Yes, yes I do!) 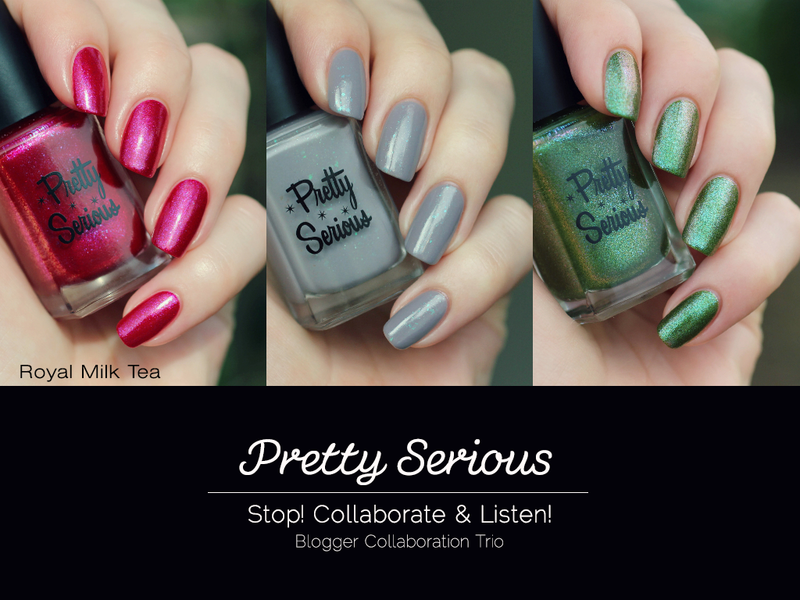 Here is the new blogger collaboration collection from Pretty Serious, "Stop! Collaborate & Listen! ", a set of three fantastic collaborative colors that are sure to grab a hold of you tightly! I have three beautiful Zoya textured glitters to share with you all on this lovely (if somewhat rainy, here in the South at least) weekend! 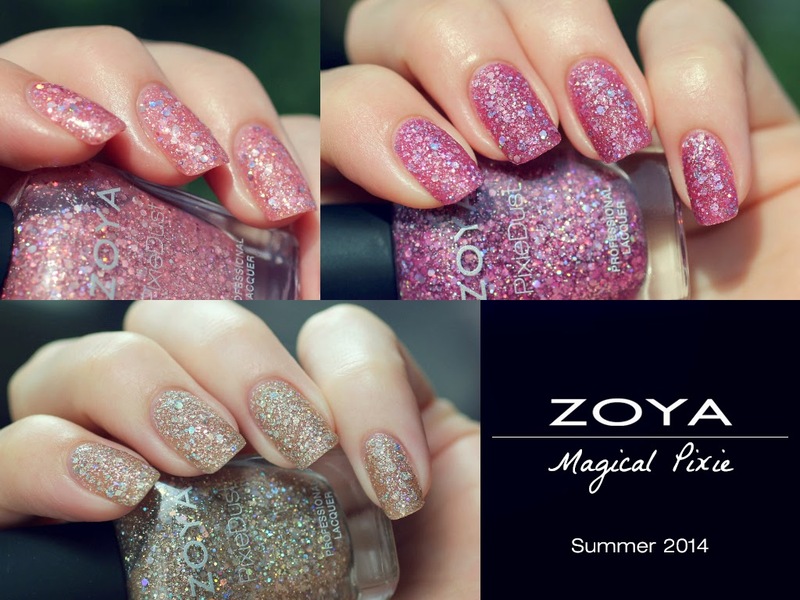 Here is the newest trio of Magical PixieDusts, ready to sparkle up your Summer! 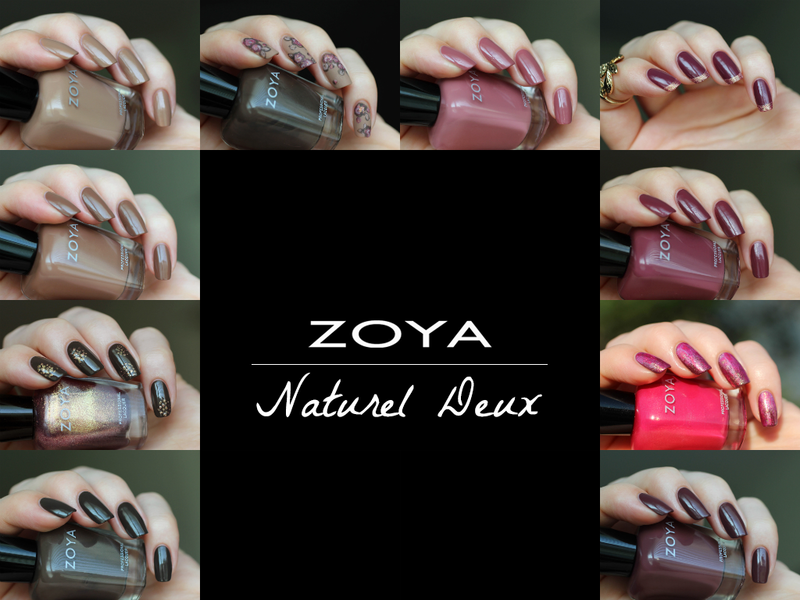 Zoya has another fantastic new set of polishes coming out soon, the Naturel Deux transitional collection. I absolutely loved the first Naturel collection that came out earlier this year, and these beautiful earthy hues are sure to complement them perfectly! More photos and info below. 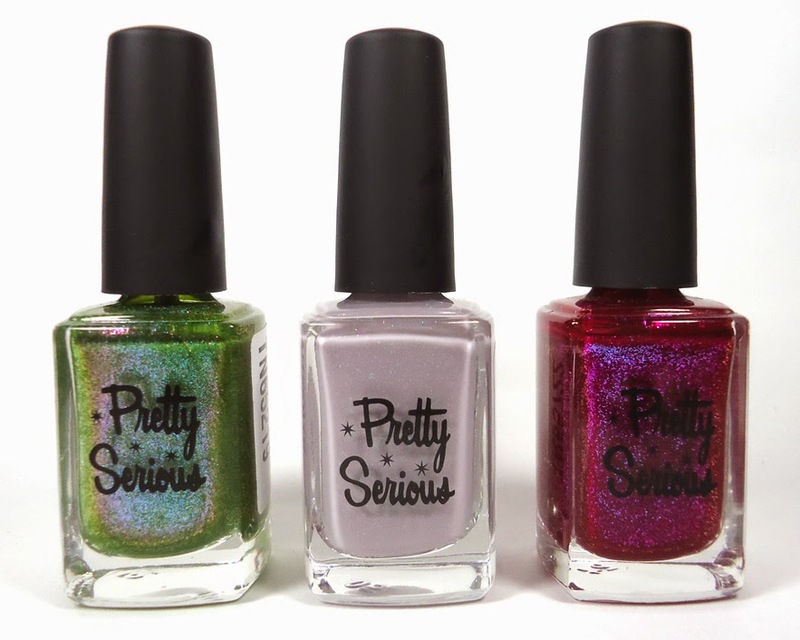 Pretty Serious has a gorgeous new trio of collaboration shades and a collection of bright, beautiful pinup-inspired colors coming out TODAY! Check out the photos and info below, and prepare to swoon! Pretty Serious Stop! Collaborate and Listen! Happy Fourth of July everyone! After a lovely day of kicking back, grilling, and enjoying my favorite beer (aka, celebrating freedom! 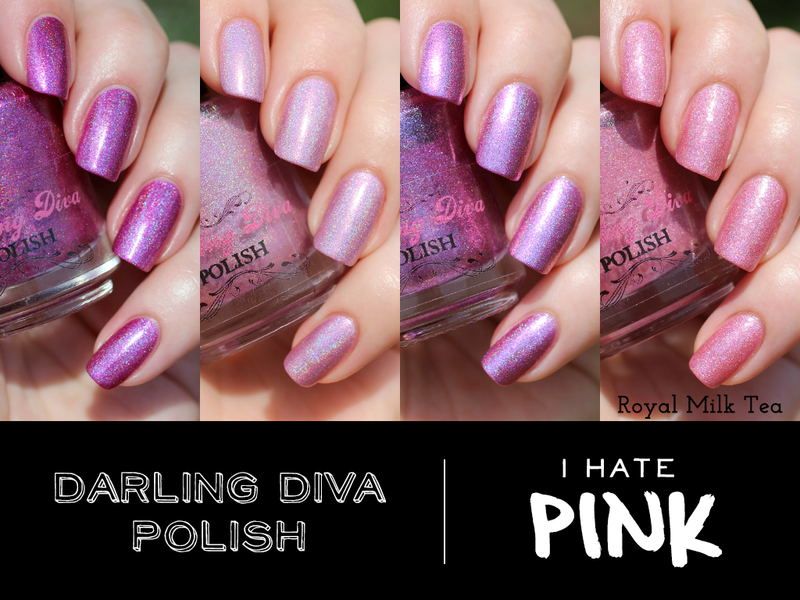 ), I thought I'd share a few colors from one of Darling Diva Polish's new collections, rather ironically named the "I Hate Pink" collection (but seriously, you're gonna love all of these pinks). So let's celebrate today with more beautiful sparklers from Darling Diva! 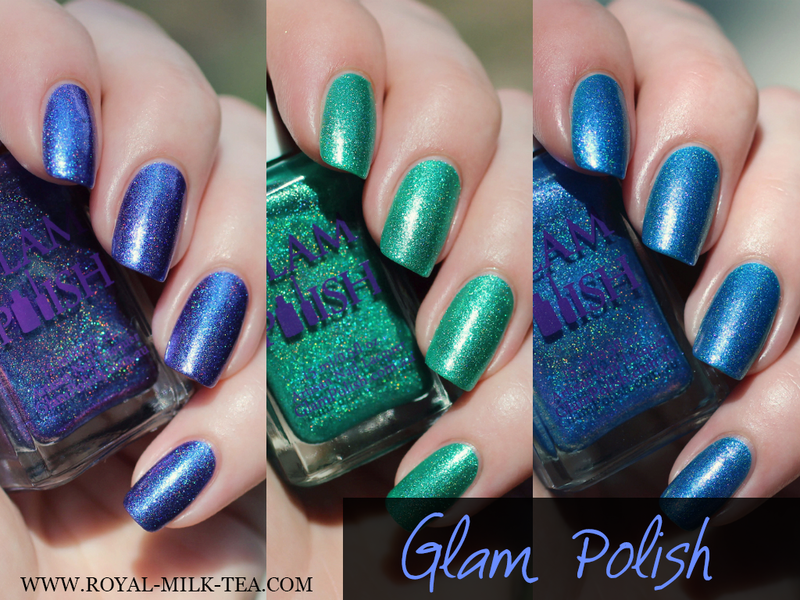 Today I have the third and final trio of "Exotic Illusions" colors from Glam Polish to share! 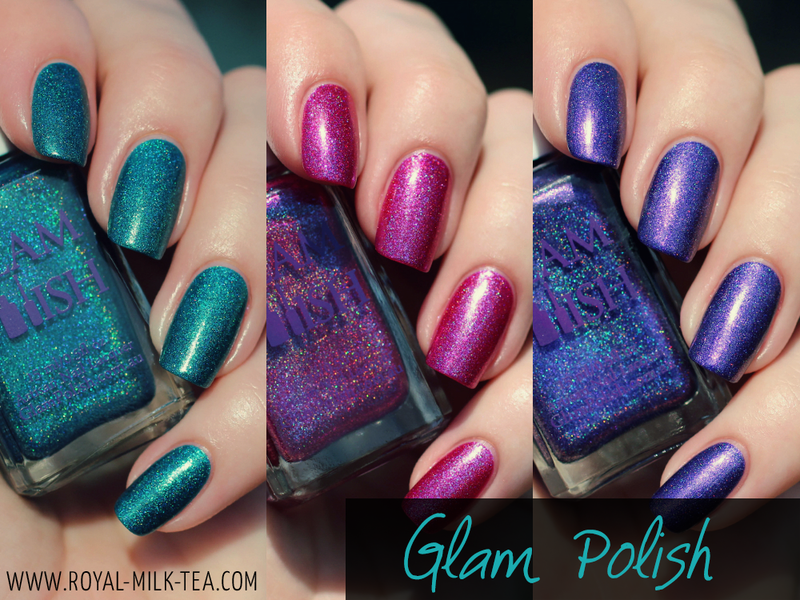 These three dazzling gem tones are full of sparkle and contrasting shimmer, and are the perfect end to another spectacular collection from Glam Polish. Get ready for more Summer fun! 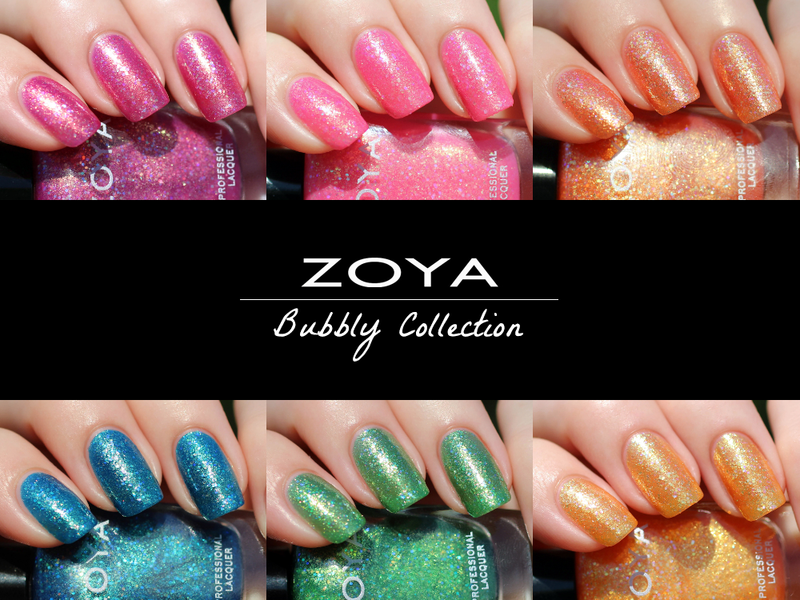 Today I have six pool partyin' perfect poishes from Zoya to share with you all! 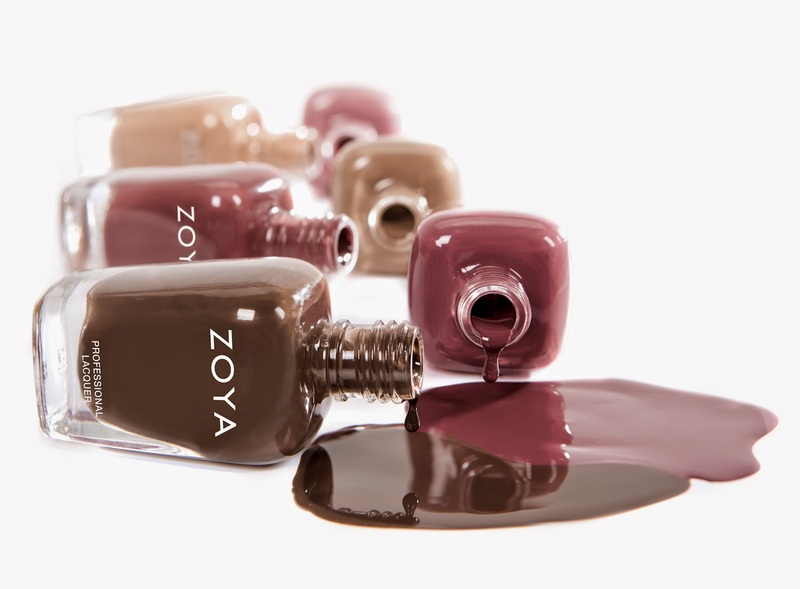 These fun and fresh cremes are the second half of Zoya's newest Summer shades, the "Tickled" collection. 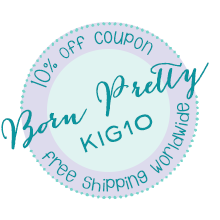 KBShimmer is excited to announce the addition of 12 new colors to their 3-Free polish line. 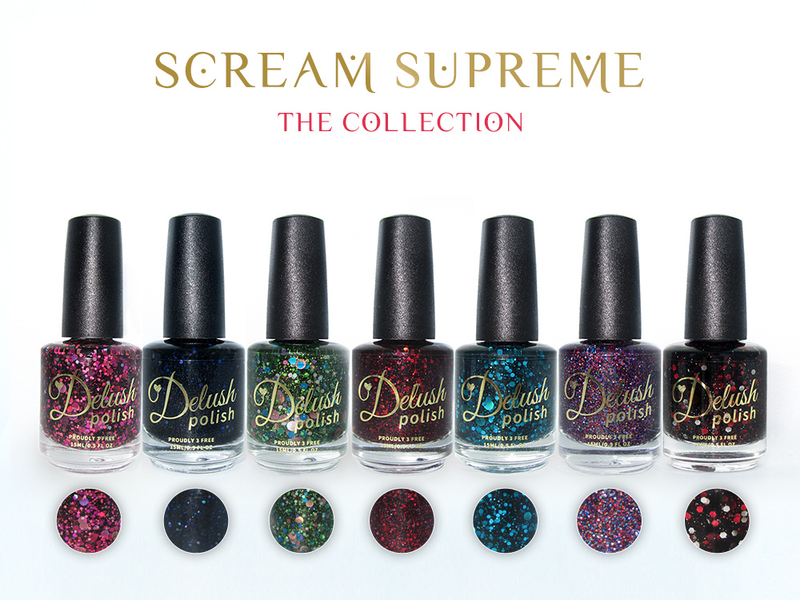 The Summer 2014 Collection includes 10 glittery shades, and two bold creams. “When designing our summer collection, glitter was on our mind. We were inspired by summer treats, bold colors, and summer flowers. 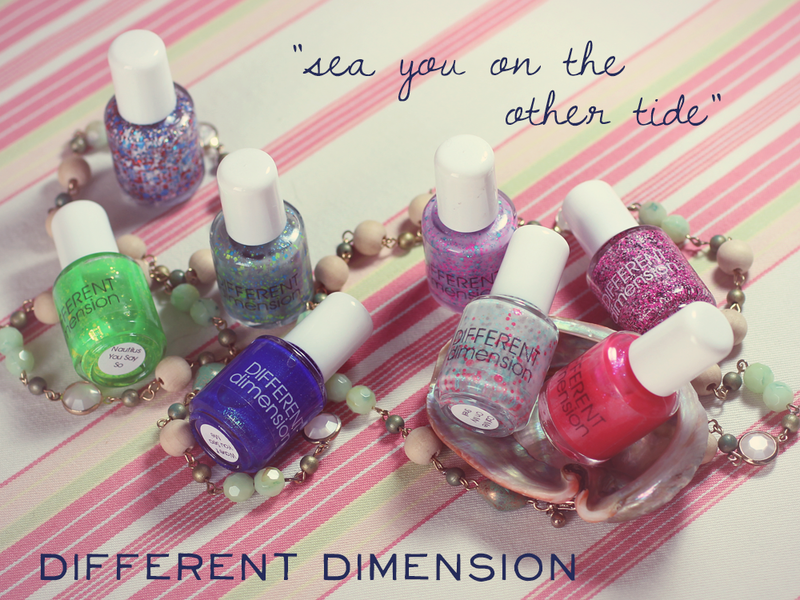 We translated those into 10 glitter packed polishes and 2 fun creams,” KBShimmer Owner, Christy Rose, says. Summer's almost here, and do you know what that means? It's time for pool parties and pedicures with the newest flip-floppin' fantastic Summer collection from Zoya! Here are the "Bubbly" polishes, a set of six sparkling jellies that are sure to be your summer crush. It's time for three more spectacular sparklers from Glam Polish's "Exotic Illusions" series! These rainbow brights are sure to knock your flip flops off; keep reading to see more! Lately I've seen some really beautiful manis done by watering down polish with acetone or thinner to create sheer washes of color and floral nail designs, like these amazing watercolor roses by Chalkboard Nails. And with Spring blooming all around here, I just had to try it myself! 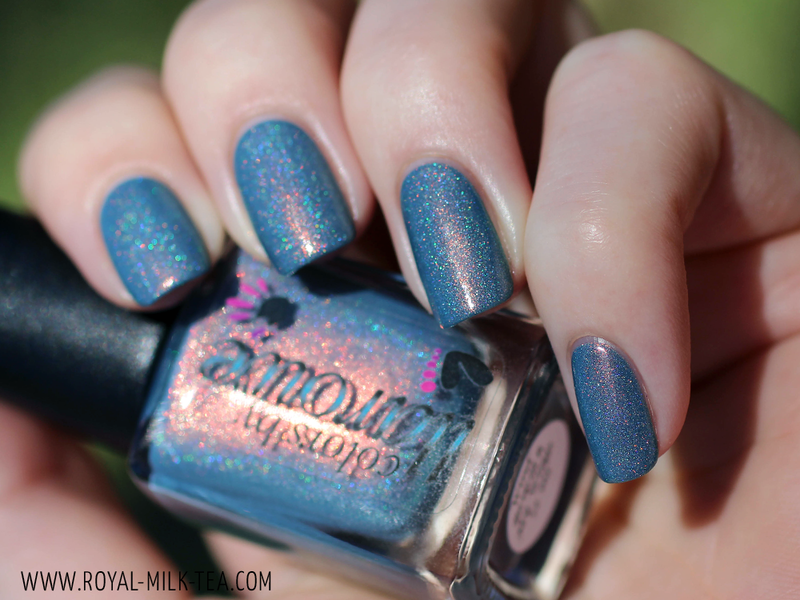 Colors by Llarowe "Wind Beneath My Wings"
Today's post features a fantastic limited edition charity polish from Colors by Llarowe: a shifty, sparkly, beautiful blue-grey, "Wind Beneath My Wings." 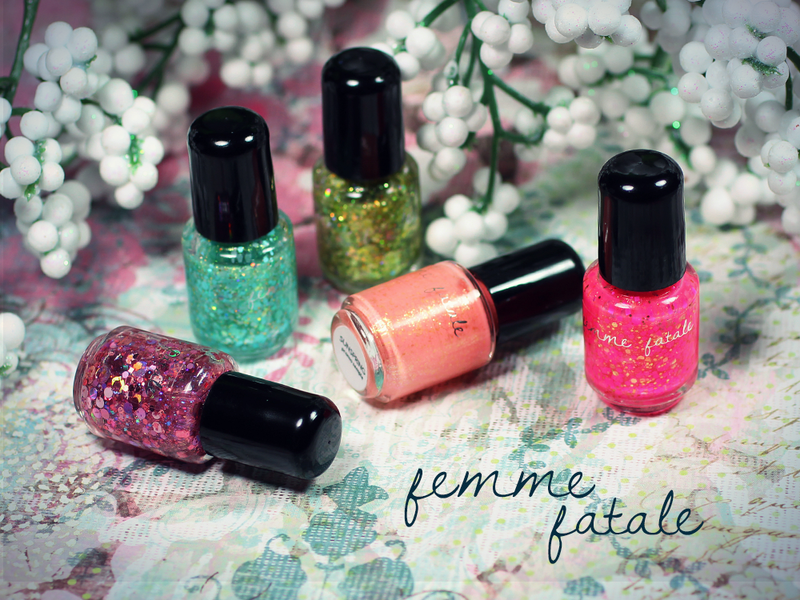 I have a brand new set of polishes from Fandom Cosmetics to share today! This new collection, "Today is Always Fresh," consists of five bright and gorgeous colors inspired by the novel "Anne of Green Gables," and are as delightfully imaginative as Anne herself. 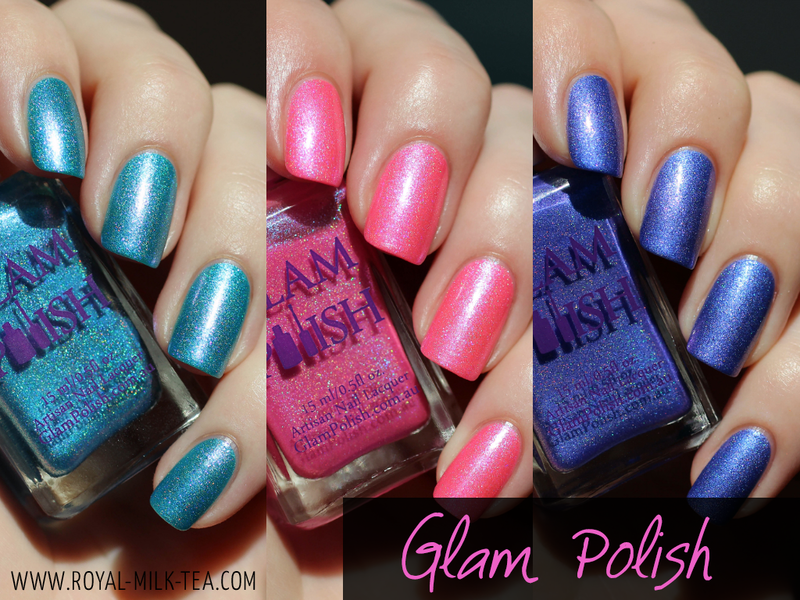 I have a fantastic new series of colors from Glam Polish to share with you all today! 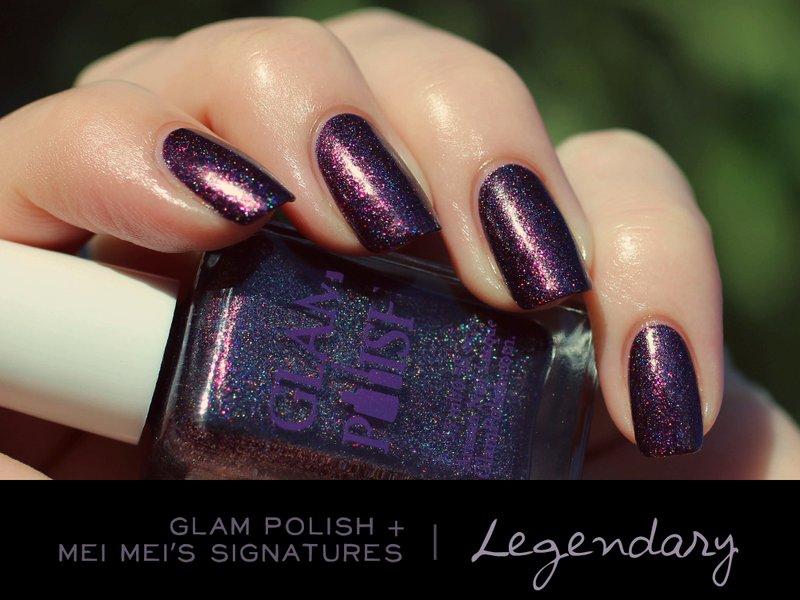 As part of her “Exotic Illusions” series, Glam Polish will be releasing sets of three unique polishes each month. Here is the first set, the April trio, which includes Tranquil Shores, Rose Dawn, and Peace of Mind. Keep reading for more photos of these brilliant & beautiful colors! 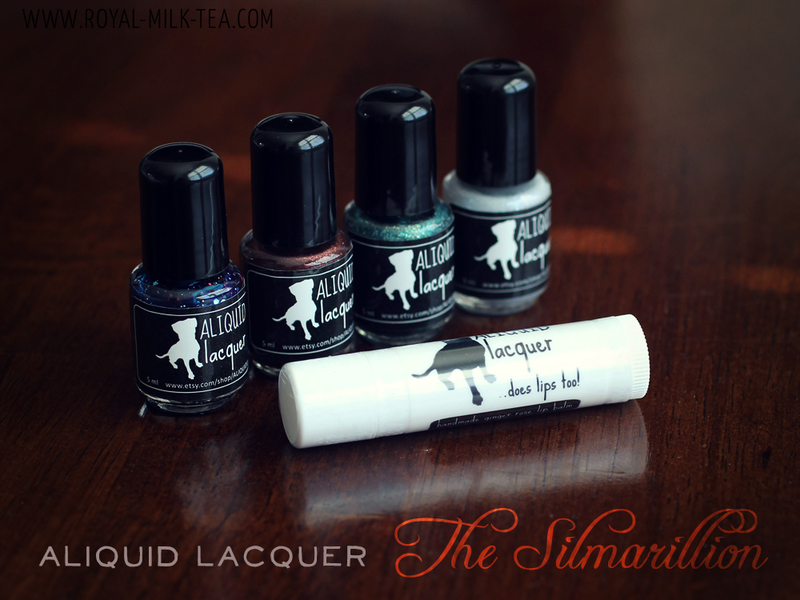 Aliquid Lacquer: The Silmarillion Collection + Giveaway! 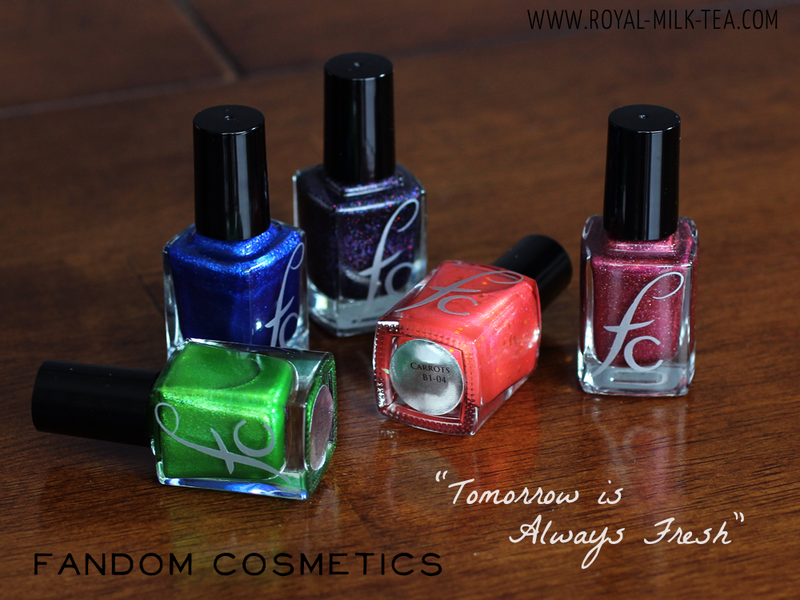 I'm beyond excited to share a few colors from this beautiful new collection from ALIQUID Lacquer today! Here are four bright and gorgeous hues from the Silmarillion collection, inspired by the novel from J.R.R. Tolkien. Can you believe it's already Spring? And nearly Easter? It's like everything suddenly started turning green and blooming around here! 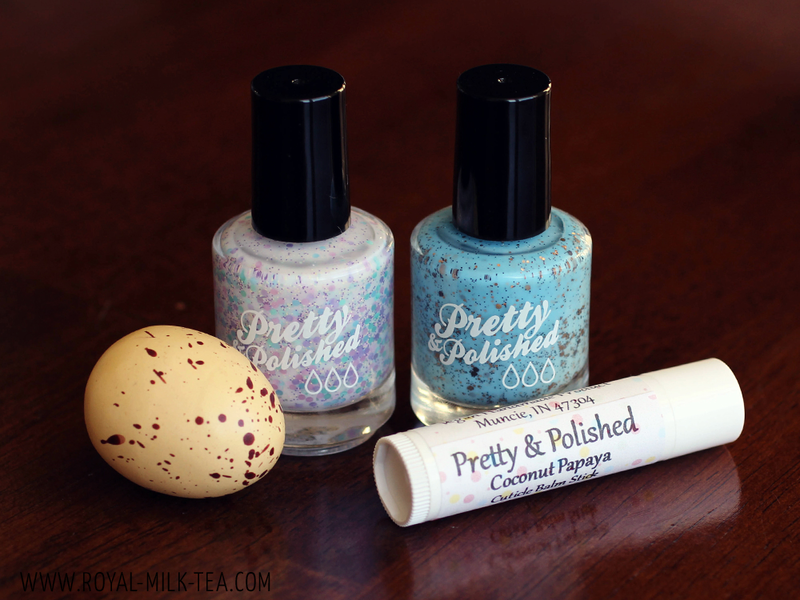 To celebrate this fresh and flowery time of year, I have two lovely polishes from Pretty & Polished's Easter duo to share! Pick your poison! 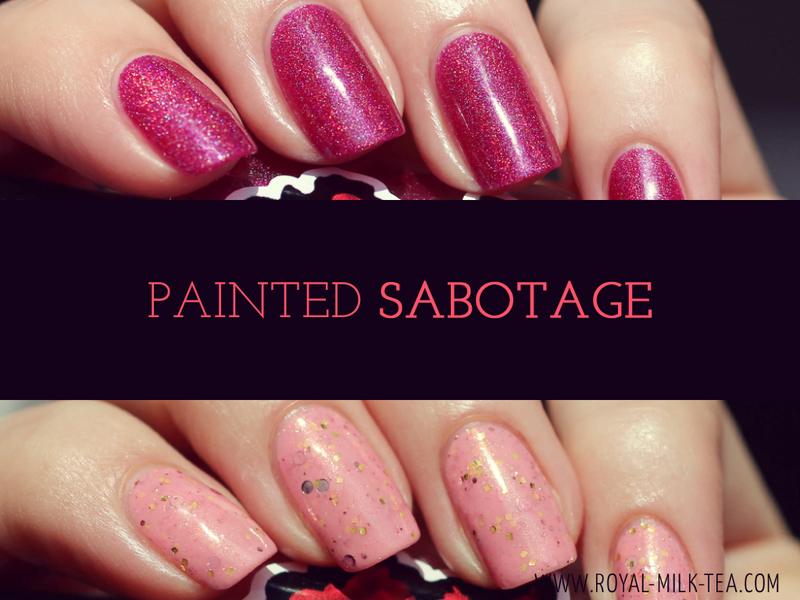 Today I have two intoxicating pink polishes from Painted Sabotage to share with you! Have a look at the dazzling "Poisonberry" and "Love Poison." 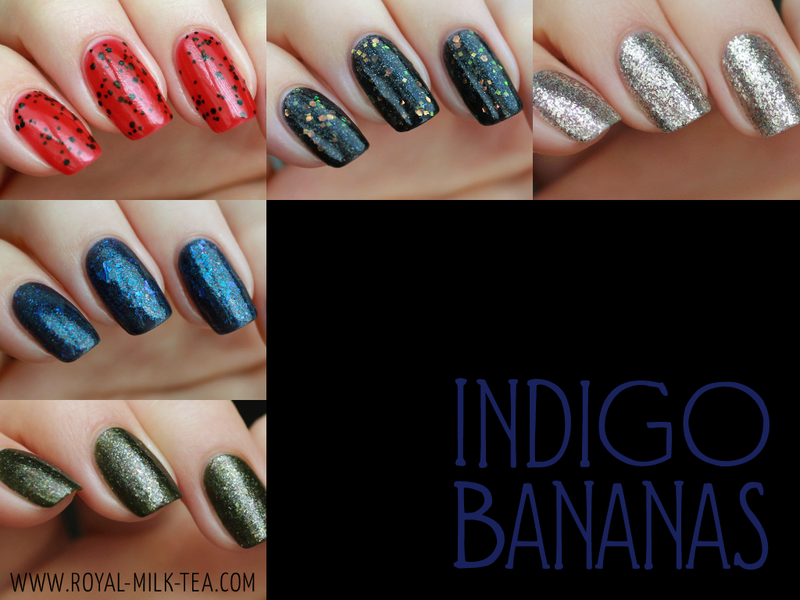 I have four more brilliant shades from Indigo Bananas' Fall "Rocky Horror" inspired collection to share today. These colors are gorgeous and full of life, just like Rocky himself! 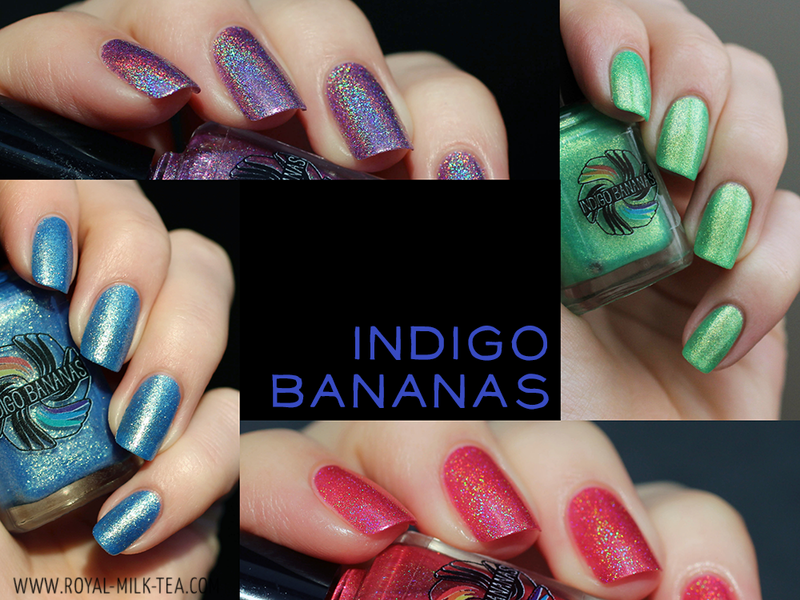 With their impeccable formulas and broad range of unique and dazzling colors, Indigo Bananas polishes are absolutely some of my favorite and most treasured colors! Today I have a few delightfully wicked colors to share from Andrea's Halloween/Fall "Rocky Horror Picture Show" themed collection. It's almost St. Patrick's Day; a wonderful day where everything is green and a little bit boozy! 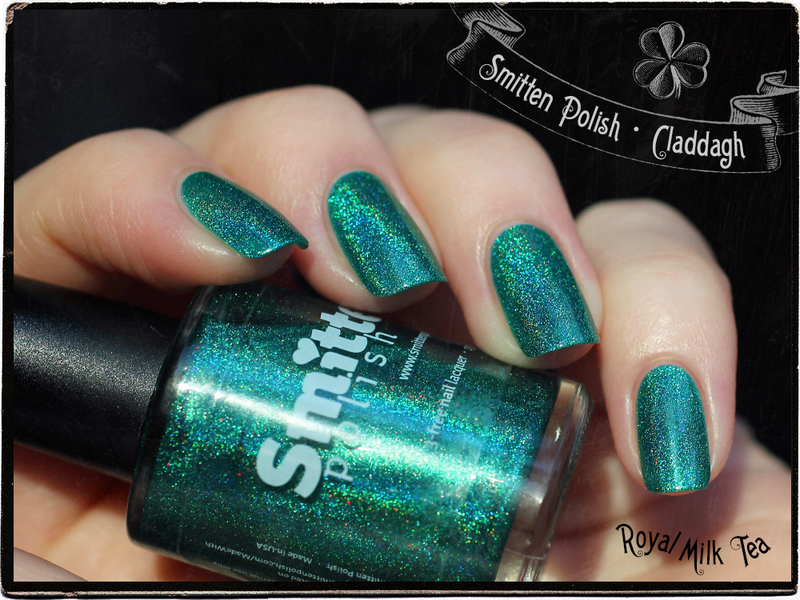 I have a fantastic and festive green holographic polish, perfect for St. Paddy's, from Smitten Polish to share today! It's finally almost Spring, and I'm really looking forward to the fun, bright colors of the season! 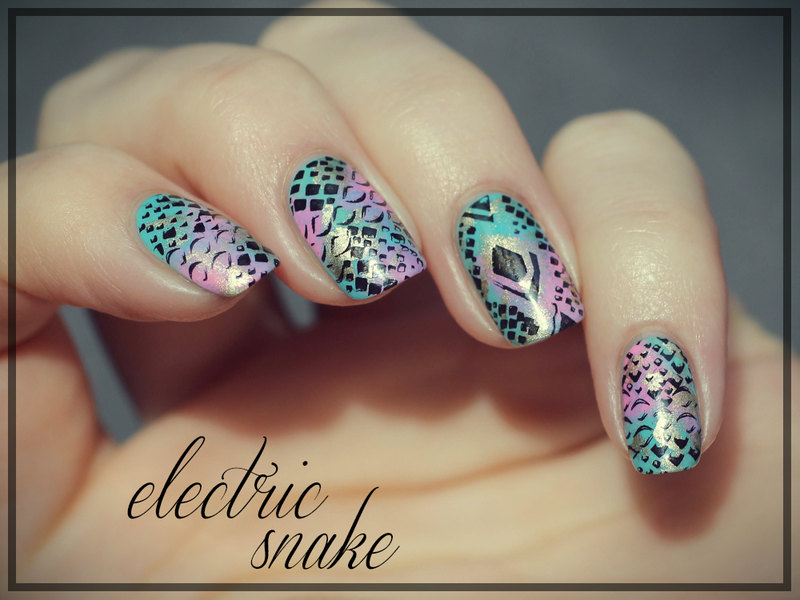 I have an "electric snake" nail art look inspired by an awesome Tieks print to share with you all today, and I absolutely love how it turned out! Hey everyone! Sorry about the long lapse between posts, but I'm back now and have some rad-tastic colors from Digital Nails to share with you all today! Hey everyone! I hope you all had a wonderful Valentine's Day, full of chocolate or romance or polish, or whatever you're into! I knew that whatever my husband and I ended up doing would be fun (like staying home and playing video games together), especially with some sweet, romantic nail art! 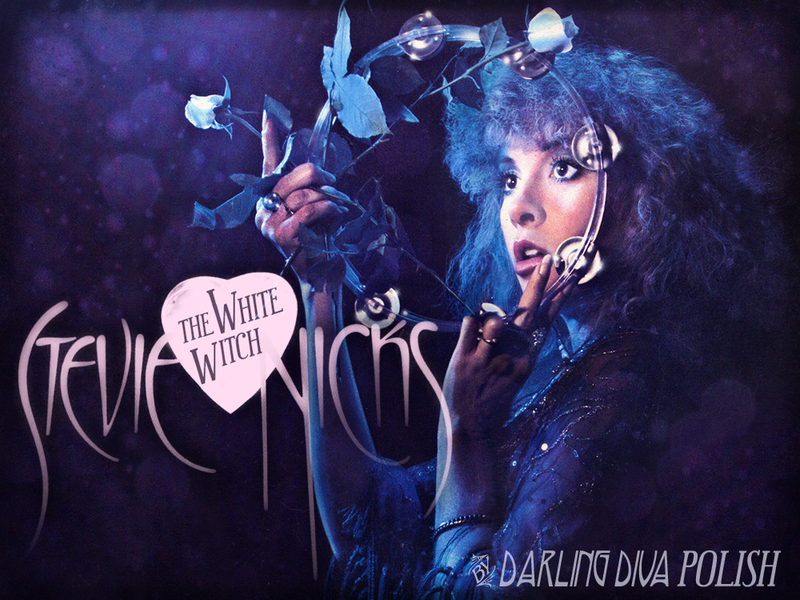 Here is the second half of Darling Diva Polish's spellbinding Stevie Nicks inspired "White Witch" collection; a beautiful assortment of rich and stunning linear holographic polishes. I'm sharing some magnificent new colors from Darling Diva Polish with you all today; all incredibly strong and saturated holos from her Stevie Nicks inspired "White Witch" collection. 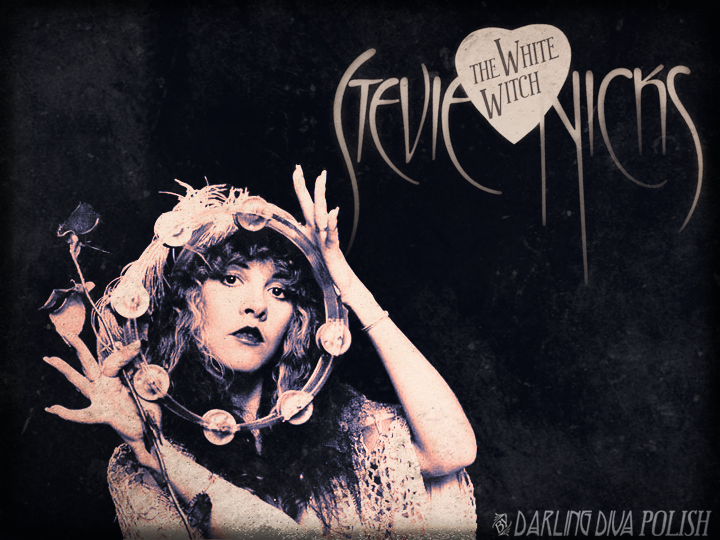 Carrie drew from her love for Stevie Nicks as well as this fantastic season of American Horror Story: Coven to create this bewitching ensemble. I almost feel like this collection was designed just for me, because I'm completely in love with all of these brilliant colors!